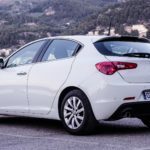 While the design wasn’t a commercial success, the design ascetics and engineering were a decade ahead of the competition. In fact it was one of the first cars to be modified in large part from wind tunnel testing, a rare occurrence, especially for the early 1950’s. The forward thinking design showed well on the track where the Red Flying Saucer prototype could reach speeds of up to 220 km/h. And what a beautiful smooth ride it must have been for anyone lucky enough to have driven it! While entusiast weren’t so sure at the time, history has shown what a classic the Disco Volante has become. You can see it’s classic signature on other legendary cars like the Jaguar E-type. In 2012 something equally remarkable took place, Coachbuilder Touring Superleggera decided to recreate the stunning Disco Volante. They impressively presented their beautiful creation of the 2012 Disco Volante specifically for the purposes of the 2012 Geneva Motor Show. 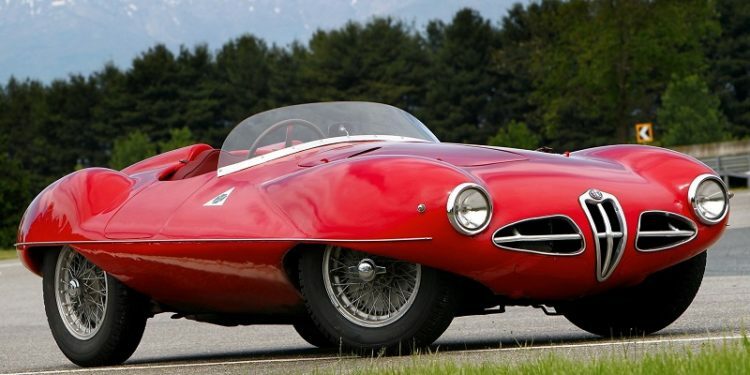 It was built to have the same specifications as the original Alfa Romeo Disco Volante back in 1952. It offered an impressive six speed transaxle gearbox with paddle shift and a double wishbone suspension as part of its impressive features. However it was not a ground-up build and instead customers needed to provide an 8C Competizione as a donor car. Touring Superleggera could then go about converting it into the magnificent Alfa Romeo Disco Volante. This was not a quick job as you can imagine, this would take a total time period of up to six full months for completion. 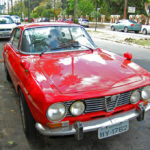 For anybody who appreciates the automotive world and the history behind it, if you ever find yourself in Milan, in Italy take a visit to The Alfa Romeo History Museum in Arese. 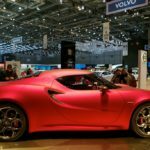 Here you will discover a coupe and spider version of The Alfa Romeo Disco Volante which forms a part of their permanent collection. This is an experience you do not want to miss. Just the pure site of this beauty, will get your heart racing guaranteed.